When it rains, it pours. Here’s your first look at The Umbrella Academy. Coming to Netflix February 15. A dysfunctional family of superheroes comes together to solve the mystery of their father’s death, the threat of the apocalypse and more. Adapted from the comic created by Gerard Way and Gabriel Bá. 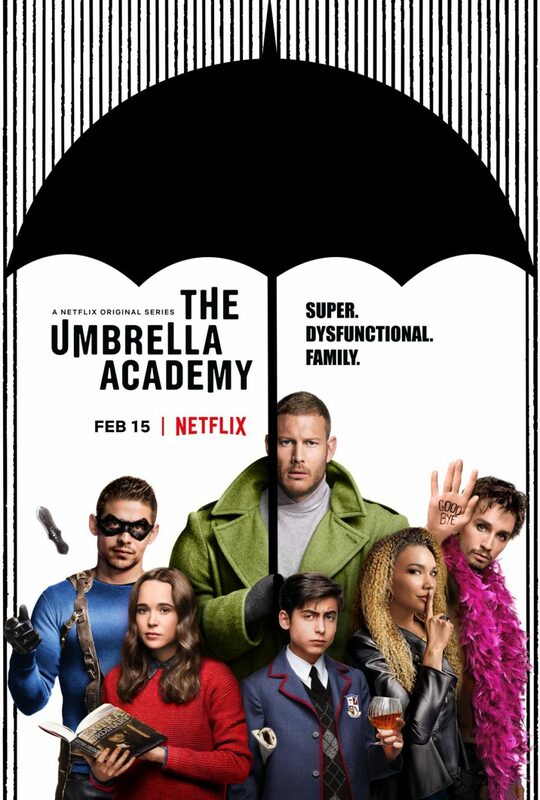 Watch The Umbrella Academy on Netflix! One of the most original comic books to hit the shelves in decades, the Pastrami Nation staff is eagerly awaiting the release of this series. Haven’t checked out Umbrella Academy yet? Visit your local comic book shop (like Linebreakers, click on the image on the home page! ), book store or the always awesome Dark Horse Comics app!